Looks like a real camera, works like a real iPhone case! 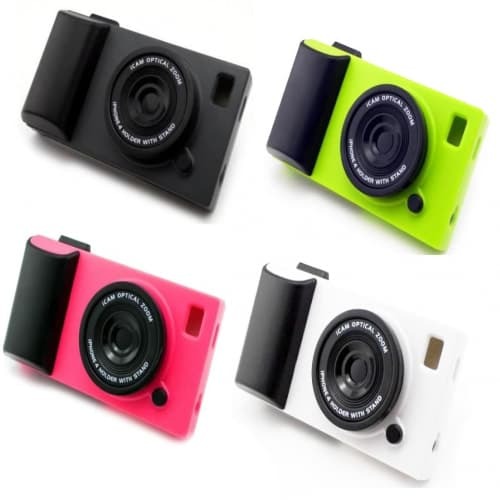 Fashionable, innovative and pratical, specifically designed for iphone 4/4S, looks like a real camera, works like a real protective case! Made of plastic material, back of the case features camera design, interior of the case has a layer of soft protection. Firm grip on the side prevents your device from falling out of your hands. Camera-like coverage prevent scratches and dirt from iPhone 4/4S. Faux lens on the back of the case can be used as a stand for different viewing angles. With a phone lanyard included, you can put the wear the phone around your neck when you need extra hands to do other things but still keep the iPhone near you without having to worry about where it goes! - Unique camera design, give your iDevice a fresh new look!